Does it cost me anything to list my gear? No, listing your gear is completely free! Quipmo only gets paid when you do. When you approve a request and the renter pays for the reservation, we take a 20% cut of your listing fee. For example, if you charge $50 per day to rent out your paddle board we’ll take $10 from the rental. Again, we only make money when you make money. What if I can only rent my gear out certain days? No problem! Just make a note in the description for your gear depending on which days you make it available. Renters can request and contact you whenever they want to reserve your ride. If a request is not convenient for you, you can always decline a request without regret. If you know your ride will be unavailable for rent or you won’t be able to respond to requests for several days at a time, you can always “unlist” your ride temporarily – just don’t forget to re-list it when you’re ready to rent again! What if someone gets injured or their property is damaged while renting my gear? Before confirming any reservation, the renter has to sign our Quipmo Rental Agreement. This agreement offers you protection against injury to the renter or damage to his property – as the owner, you are never responsible if the renter gets injured on a ride. 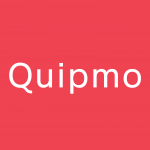 Additionally, for further peace of mind, Quipmo has secured a $10 million third party public and products liability insurance policy that may cover you and the Renter against third party liability incurred during a rental using Quipmo. Further details on how this policy protects you can be found here. What if my gear gets damaged while rented? Once again, all damage and personal injury is the responsibility of the renter during the reservation. For example, if your bike gets a flat tire during the rental, it is the renter’s responsibility to repair the tire or pay for a replacement. Additionally, for further peace of mind, Quipmo has secured a $10,000 general property insurance policy that will cover your gear for theft and total loss through accidental damage. Further details on how this policy protects you can be found here. What if my gear is stolen? If your gear is stolen during the rental you can make a claim through Quipmo’s general property insurance policy. Details on how to make a claim can be found here. We are committed to having fully protected, comfortable, and happy Owners and we’ll always do our best to help you out in whatever way possible. I have spent a lot of money getting my gear to fit my body and style correctly. How can I ensure the renter does not change this? This is something you will have to work out with the renter. The best way to ensure your gear is treated the way you want is to find out the renter’s ride intentions by keeping good communication. If he or she does wish to adjust your gear, we recommend that you log and mark all your fit coordinates before passing it over. This will enable you to quickly re-adjust your gear back to the desired dimensions upon its return. Can I list multiple items of gear in just one listing? No, each item must go through our process of approval before it will be listed on our site, and we currently have no option to list multiple sizes. For bicycles, size is based off of frame height and the size of other gear is based off of their length (surfboards, snowboards, etc). If you would like to let renters know that your ride is adjustable in size, you can say so in the title or description. Can I list the same gear multiple times with different addresses? Yes! You can certainly list the same gear in different places. If you have a surfboard that you keep at home and at the beach, you can list it at both locations. Having two locations is especially common for daily bike commuters. Many of our users create a listing at their home and add an additional listing near their work in case a renter wants to pick it up from there. Generally speaking, the more convenient your gear location is, the more likely you are to get renters. Is there a minimum listing price I need to charge renters? Owners are required to charge at least $1 for your gear – it can be $1 per hour, $1 per day, or $1 per week. We don’t approve any listings priced under $1. Can I list my ride outside of the AUS? Yes! Quipmo has users from all around the world. We are growing our listings and user base every day so chances are if you list it, someone will rent it. Can I accept cash from a renter? Never accept cash! We require that all payments be made via credit card since they give us a valid form of verification. Your gear will not be covered under the Quipmo guarantee if the transaction does not happen through our website. Can I list my gear for sale on Quipmo? Unfortunately we don’t allow sales on Quipmo. Right now we’re considering allowing users a “rent to purchase” option so stay tuned! Any feedback on the subject would be greatly appreciated. Still have more questions? Visit our Help Centre to find out more!